Charleston is always so pretty in the Spring. 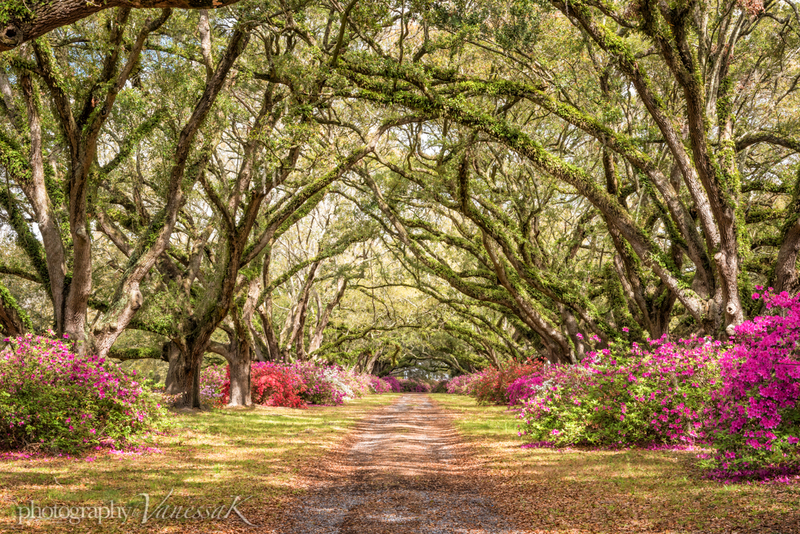 All the azaleas are in bloom (albeit this year a little prematurely), everyone is sneezing from the pollen and driving around in dirty cars since there is no point in getting them washed until the dust has settled. 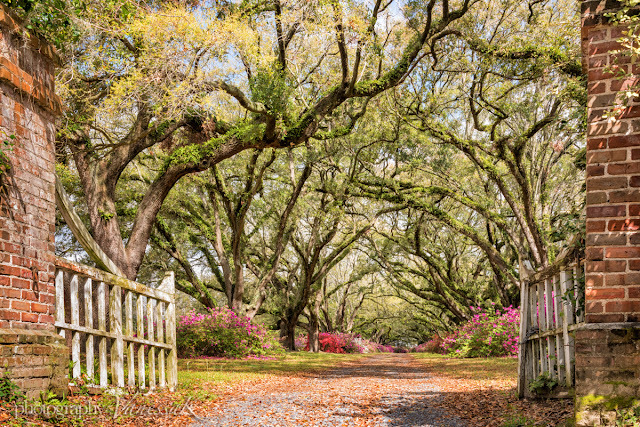 This is a particularly beautiful driveway tucked away in West Ashley, but begging to be photographed.